Severe season is certainly here. After a weekend of severe weather on April 13-14, yet another multi-day severe weather threat looms. The severe weather threat will ramp up yet again Wednesday, April 17 and continue through Thursday and Friday (April 18-19). As moisture and instability build in from the Gulf of Mexico and a strong cold front slices through that moist, unstable air mass, thunderstorms are expected to develop each day. It is somewhat early in the forecast to tell exactly what threats will be greatest for specific cities. Any severe storms that do develop will be capable of strong to damaging wind gusts, hail, and the chance of a tornado. 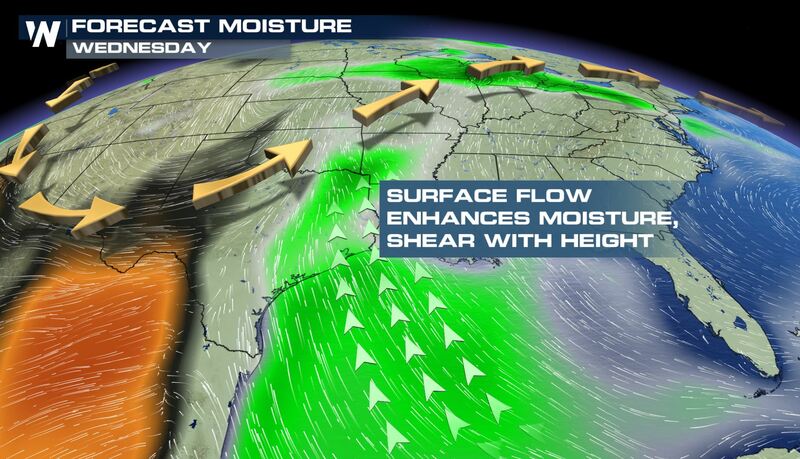 Stay with WeatherNation as the threat gets closer as the forecast becomes more clear. While details of the severe threat will be ironed out with time, one thing looks certain. 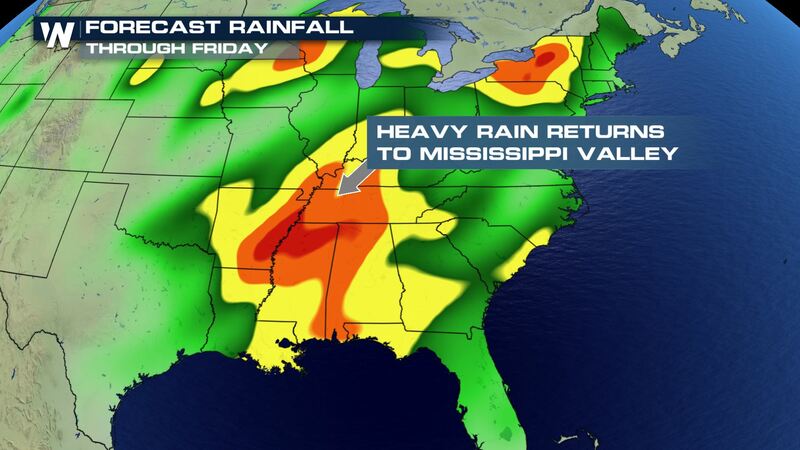 More heavy rain will fall over already very wet ground across the lower Mississippi River Valley. The risk of localized flooding will once again likely develop through mid-late week. 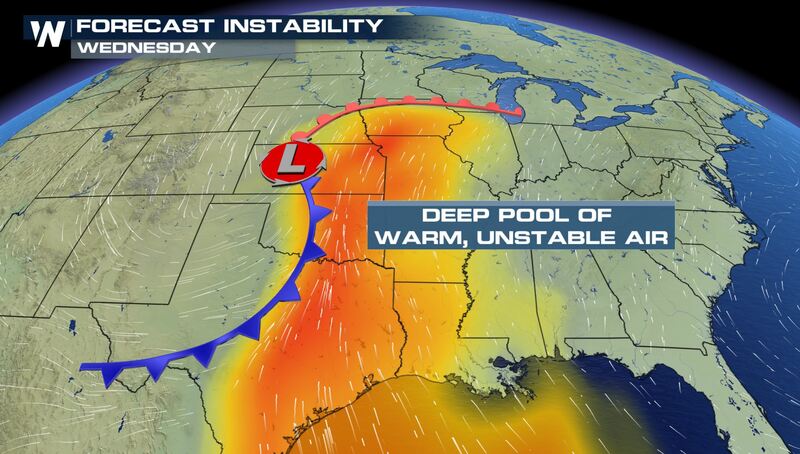 This is the time of year when severe weather typically ramps up. As surges of warm, moist air open up from the Gulf of Mexico and cold fronts still dig into far enough south, severe weather events are common across the U.S.
Watch more about the climatologically favored areas of severe weather in the Spring. 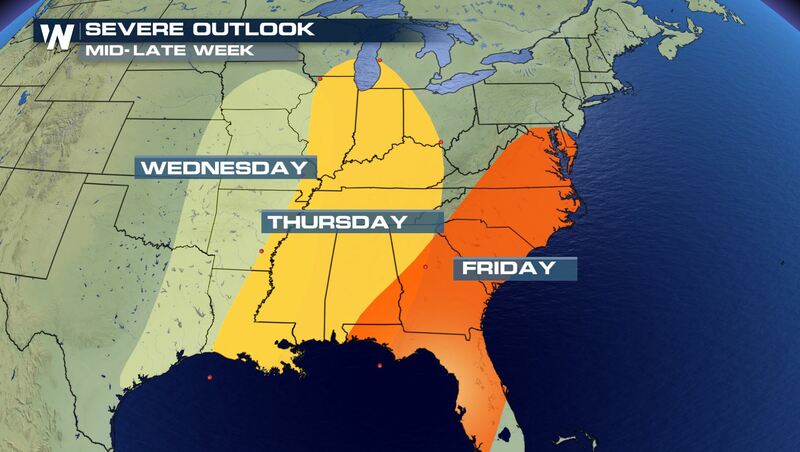 Stay with WeatherNation as we continue to track the pending severe weather threat this week.